If you want to learn more about what outdoor adventures you can have with your family, Bushcraft: A Family Guide is the perfect book for you. Written by Wildway Bushcraft’s John Boe and Owen Senior, this illustrated practical guide, is packed with essential information and useful hints and tips that can be used by all the family, to help you get more out of your time outside together. This guide has everything both children and adults need to know to have fun and be safe in the great outdoors. 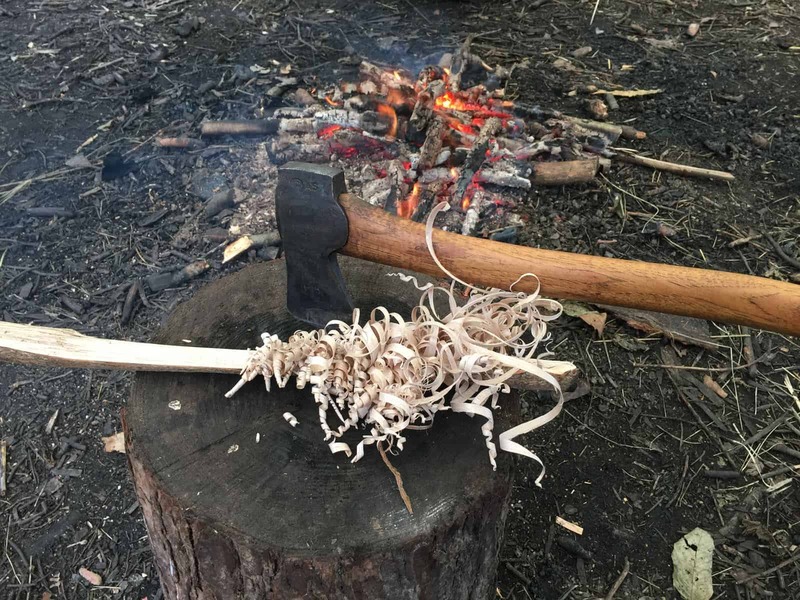 Whether you are planning a mini adventure in the woods or countryside, a camping trip or simply exploring your own back garden, this guide can teach you the art of bushcraft and get you and your friends and family out there ready to explore and have fun. With activities such as how to find and collect water, build a shelter, how to navigate by the sun and stars, making a bow and arrow and tips on how to make the perfect toasted marshmallows – an essential when you are in the great outdoors! Bushcraft : A Family Guide is not just for beginners, but offers practical tips and ideas for even the more experienced bushcraft adventurer. The guide covers subjects such as the law, equipment, fire, water, foraging, hunting tools, preparing meat and seafood for the pot, cooking in the great outdoors, staying out overnight, tracking, natural navigation, making things, carving and how to make sure you leave no trace when you are finished. Each chapter also has a useful section at the end where you can make your own notes. John and Owen are both passionate about the great outdoors and sharing their skills and enthusiasm with others. They have been teaching practical and adaptable survival skills for many years, helping people get the most out of their outdoor experiences and adventures. Being outside in the fresh air is the perfect way to spend time with friends and family while learning about nature and gaining confidence and practical new skills together. The aim of this book is to encourage people to catch the ‘bug’ and spend more time outside with the people they love. ‘Perhaps you can persuade your friends to do the same. More people getting outside means more knowledge, enthusiasm and energy for all the wonderful things you can do in the great outdoors. As the guide says, the basic ingredients of having fun and adventures outside is very simple, ‘just friends, family, food, woodsmoke, dirt and laugher’. Bushcraft: A Family Guide is available from Amazon and book shops.